After a successful business year 2013 proMX looks forward to an exciting year in 2014.
proMX, the Nuremberg based IT and Consultancy house, and winner of the “Microsoft Dynamics CRM 2011 Solution of the Year Award” has continued its growth course in 2013 and looks confidently toward 2014. “We can look back at a very successful business year 2013 with many highlights,“ says Peter Linke, CEO at proMX. “This year we are glad in particular to be able to develop our international presence further and to support our customers with the conversion of demanding projects even better. The positive resonance and satisfaction of it shows us that we meet precisely the needs of the users with our innovative product,” continues Peter Linke. At the trade fairs in 2013, at the WPC in Houston and also at the Microsoft Dynamics Convergence in New Orleans and Barcelona, prospective customers have been able to take a close look at the new product from proMX. Besides, the enterprise also introduced the new release of the distribution, resources and project management solution proRM. Now this system with a clearly enlarged functionality, can be integrated easily into the Microsoft Dynamics platform as usual. The results of the events are a clear indication that proMX GmbH speeds up her strategy of internationalization successfully. This year proMX will present its IT-and consulting company at important events with the Microsoft-Community and the software branch. Another highlight last year was the Roadshow organized with Microsoft. At three locations in Germany proMX together with the Redmonder company spoke live about the significant advantages from proRM in connection with Microsoft Dynamics CRM. The resonance about the Roadshow was very positive. Since the events pointed out not only to the theory, but the means with which one realizes a successful project conversion optimally were also shown. People came for the intensive exchange between users and service providers. For 2014 farther Roadshows are planned, in Germany as well as in other countries of Europe. Prospective customers have the chance to learn more about many advantages from proRM 2014 with help of practical examples. The proMX GmbH got in 2013 among other things, two leading IT system houses as partners: Trivadis and Arcando. Both successful suppliers of IT solutions and IT services extend with proRM their portfolio by a strategical solution in the project management sphere. The partnerships strengthen proMX the presence in the European area and can cover service and support needs of the customers in 2014 substantially better. Beyond it, the enterprise was priced with the certificate “Best of 2013“ of the IT innovation price in 2013. The expert’s jury of the initiative middle class distinguished the “better-consult software” proRM and Microsoft CRM. The leading Nuremberg system house CRM also became a finalist in “Country Partner of the Year – Germany” of Microsoft. ProMX was chosen from thousands of registered companies and applications well nominated and honored. Due to the great success of the sales, resources and project management solution proRM developed the enterprise the consultation and distribution network. In 2014 the company also opens a new location in Hannover. Today enterprises want, independent of their internal structure, only one: an effectual control of their processes and as a positive result a reduction of the expenses. 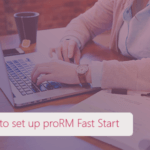 In the actual version of the sales, resources and project management solution proRM 2014 the Small business package is also included. It can be used from up to five users free of charge. 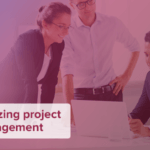 This combines all important proRM applications for a successful project control and project realization at small companies. Other applications, for example proRM budget planning App or the proRM Controlling manager App, can be added to increase the achievement spectrum. The package is available for a year as a Freemium version for the Small business enterprise. proRM Resource Planning App – this application makes company resource planning for Project Managers and team members as simple as child’s play. This application ensures a comprehensive overview and helps you to both precisely control and optimize the workloads of your team members across customers, projects, and resources. With this application it is possible to plan or undertake bookings directly, and in turn, provide important information to your team. The transparency of all project steps is a further advantage for all stakeholders. The color-coded presentation of the different activities aids clarity, while the similarity in presentation style to excel is particularly user-friendly. proRM Outlook Tracking App – this application makes possible the synchronization between the proRM activities and the Outlook appointments. All employee activities and bookings made in Outlook can now also be followed precisely in the application. Users also get to keep the familiar Outlook Calendar view. proRM Invoice Manager App – this improved application significantly simplifies the invoicing within a project. Project Managers and team members can easily bill specific times in the various project phases. Amendments can be made at any time. The invoicing process is both simple and transparent thanks to the complete compatibility of proRM and MS Dynamics CRM 2013.
proRM Project Gantt App – this application makes project scheduling and management more effective. This enables, for example, the management of project times at weekends and on holidays. Users can now, define whether a Saturday or Sunday is a working day.